I recently took over the position of Editor at Chic Vegan (I am super stoked about it!!!) which means I am in the middle of experiencing a steep learning curve (translation – I don’t have a lot of extra time). 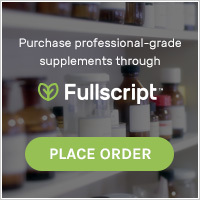 There have been more than a few days when I have looked-up from my computer screen just in time to go get my daughter, help her with her homework which we finish just in time for my son to come home from school and then before you know it it is time for gymnastics and Jiu Jitsu. Where does the time go??? The other day a I was making a MAD-DASH through Costco (I know other mamas out there can get through Costco in 15 minutes flat too, right? Not my preferred method, but necessary at times.) to pick-up a few essentials like organic pre-cooked edemame, seaweed salad, and some organic produce when something caught my eye. 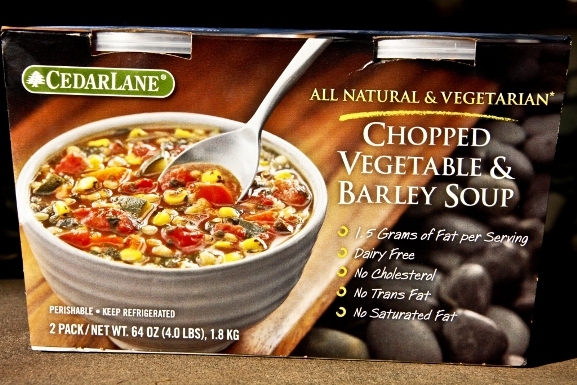 In the refrigerated section I noticed that they had some Cedarlane Vegetable Barley Soup…SCORE!!! I looked at the back of the package and although it didn’t say vegan on the packaging it did say DAIRY-FREE and upon further examination I couldn’t see any non-vegan ingredients. One word to the wise is that this is NOT a gluten-free soup. Barley is a gluten-containing grain. Fortunately my daughter does not have an allergy to barley. That being said, I still do not give it to her very often. My easy meal solution was to warm the soup and adjust the final soup for each person. For the boys in the family I added some Gardein chicken that I first chopped-up and browned. I ate the soup straight-up, but there is a very slight spicyness to the soup, so I poured some into a bowl for my daughter, added a little filtered water and a squeeze of ketchup to tame the spice. This was such an easy and quick meal! Costco to the rescue again. ASK GRETTIE - How Healthy Is Gardein?